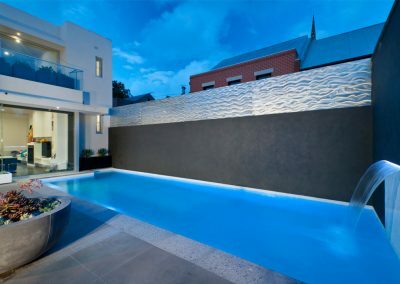 This stunning pool and spa combination was designed and constructed by the expert team from Salt Pools. 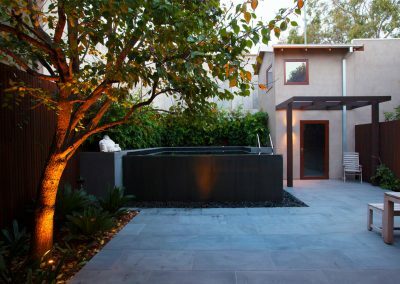 Pulling focus in the outdoor space, the fully-tiled raised spa encourages a luxurious Mediterranean aesthetic. To accomplish this amazing result without complication, the company expertly coordinated all planning and building permits prior to construction. 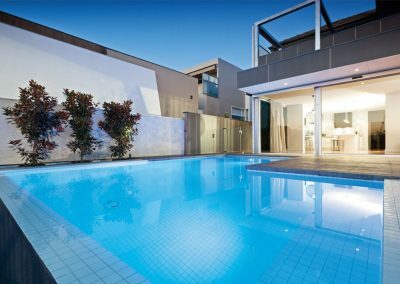 Fitted with both solar and gas heaters, the pool and spa can be enjoyed at any time throughout the year. 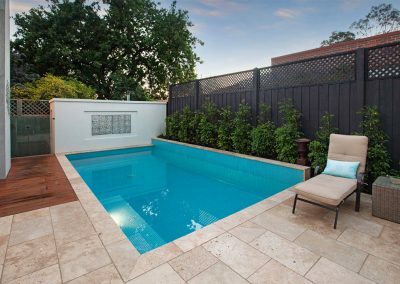 Measuring 9m x 3m, the pool is ideal for exercise. With stylish sandstone paving and a separate lawn area, the outdoor space is the perfect spot for the homeowners to entertain friends and family. 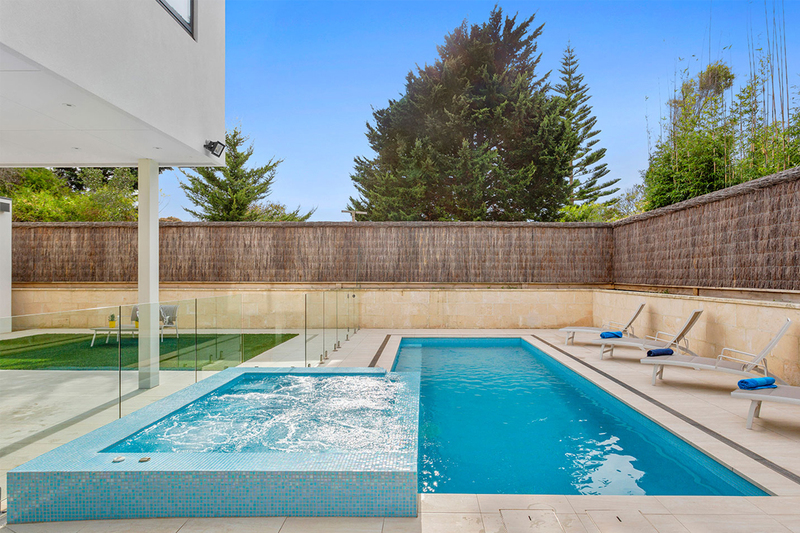 Fitted with frameless-glass fencing, the pool can be admired from the alfresco area. 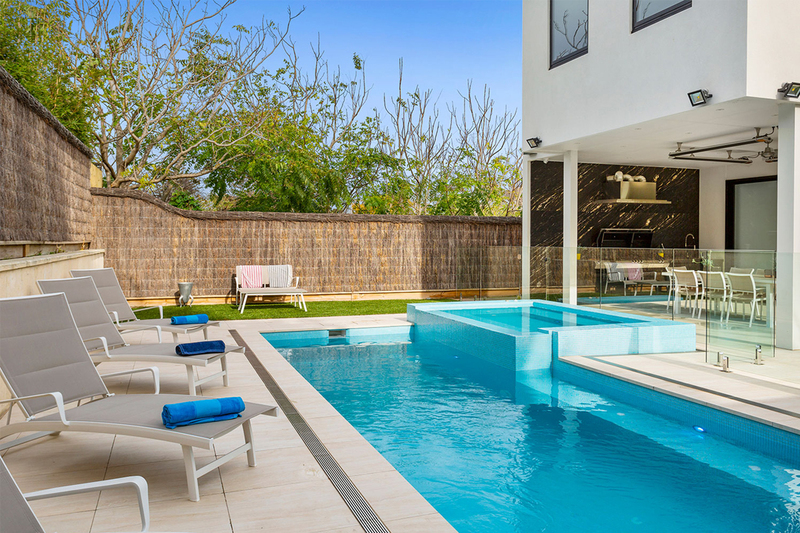 Ensuring the pool will be easy to maintain, a range of high-performance products were installed, including a Viron Connect10 automation system, which can be controlled remotely via the homeowners’ smartphones. 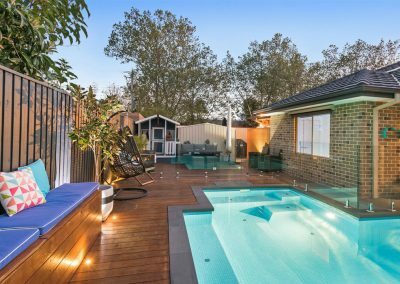 Primarily operating in the eastern suburbs of Melbourne, Salt Pools also provides its customer-oriented services throughout Victoria. 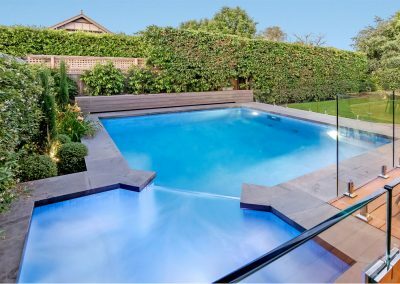 Founded by Richard Workman, Salt Pools has extensive experience developing concrete in-ground, plunge and infinity pools, as well as spas. 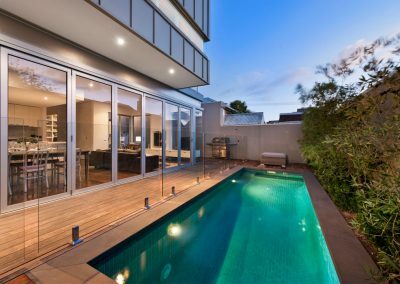 Workman brings more than 30 years of experience in the industry to Salt Pools, which thrives on his expertise and the combined skill of the team. 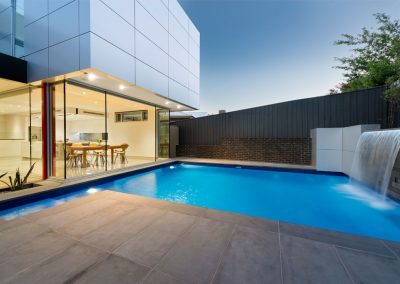 Specialising in a range of pool styles, the company completes 20–30 projects every year within Victoria. 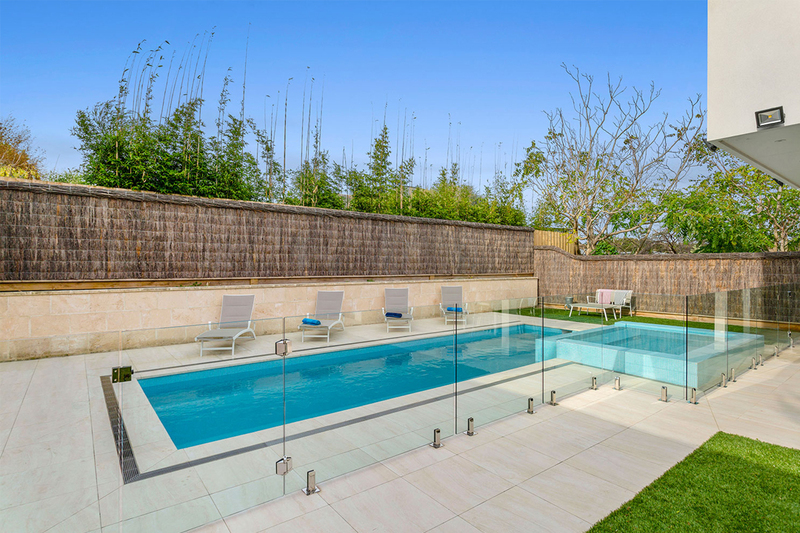 Salt Pools offers the whole package, from pool design concepts to construction, as well as landscaping. 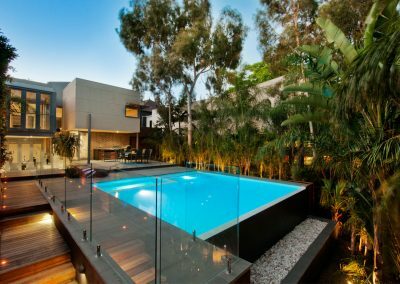 The company has the expertise to perfect every outdoor project it undertakes.